Being born into the era of McDonalds and Pizza Hut, I gorged on junk food for the majority of my childhood. And then I was dumped into the 2000s, where the size zero craze was at an all-time high. Argh, the fatigue my body felt, the pressure of being a certain size with a non-existent belly. It drove me to the brink of an eating disorder. However, I finally gained the confidence to love my body and accept everything that it represents. And instead of focusing on my weight, I decided to focus on an overall healthier and fitter body. 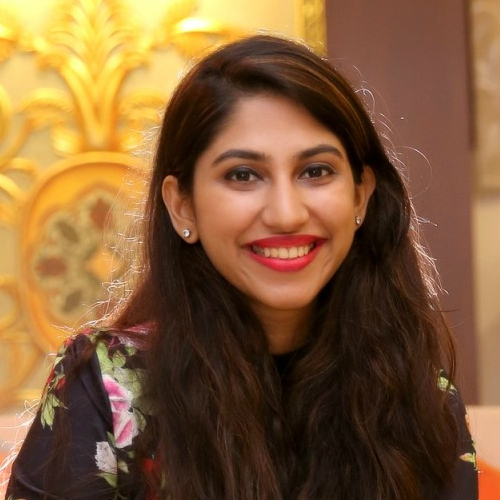 I realised the area of my body that I was unhappy with was my belly and that is when I began my research towards finding the best exercises as well as natural ways to reduce my belly fat. However, this is subjective and the priority is to be happy in your body. No one should be reduced to a weight or a waist size, we are all beautiful and should not strive towards unhealthy and unrealistic standards the society expects from us. The idea to lose my belly fat didn’t stem from the physical need to have abs, instead, it came from the possible health risks that stem from having belly fat. Losing weight around your belly is the hardest, and honestly, quite painful too. Not just that, but belly fat (also called visceral fat) is harmful to your health as well. This type of fat increases the production of stress hormones like cortisol and inflammatory substances called cytokines. These increase the body's production of insulin leading to a higher risk of type-2 diabetes and heart diseases. To prevent these diseases should be your motivation to shed this fat, not the aesthetics. Ready to nip the problem in the bud? Here is the ultimate guide that includes food recommendations and simple exercises to lose belly fat and live a healthier life without exercising. While this may have never crossed your mind, slouching and bad posture actually leads to accumulation of weight around the tummy. So standing up and sitting down straight is really helpful in reducing that belly fat. Another tip that most people swear by is eating smaller portions. Don't worry, you don't need to go hungry. Instead of three full meals, you can have six smaller meals every 2-3 hours. This will increase your metabolism and your body will be able to process food faster! Water - it does wonders and how! You need to have at least 8 glasses of water every day. Not only will it give you amazing skin, but it'll also boost your weight loss plan. The best way to determine how much water you should be drinking is to follow the most basic instinct of your body, thirst. As long as you drink a substantial amount of water every time you get thirsty, you’ll be good. Trans fats have been linked to heart disease, insulin resistance and abdominal fat gain. Therefore, it is important to avoid foods that contain trans fats; your enemies are spreads and packaged foods. To know if something contains trans fats, look for the words 'partially hydrogenated fats' on the label of the product. To know more about the food that helps you burn fat, click here. Your mom has said it enough and it's time to take note. Fresh leafy vegetables and fruits are an amazing addition to your diet that will help you lose belly fat and maintain your body. Foods like yogurt, cucumber, avocado, and watermelon are amazing. They help beat water retention and have you feeling fit all day. Excessive salt and sugar are both bad for your health and beating that flab. While excessive salt can cause fluid retention and bloating, excessive sugar has been, in studies, linked to abdominal fat increase. So be mindful of what you eat! All you need to do is replace refined carbs (like white bread and white rice) with unprocessed carbs (like brown rice and oatmeal) and you'll see an instant increase in your metabolism and reduction in that pesky fat. Studies have proven that excessive alcohol intake is linked to increased risk of central obesity i.e. fat around the tummy and waist. While we're not advocating that you give it up (*rolls eyes*), we're saying you might consider reducing it a little, maybe just a smidge! 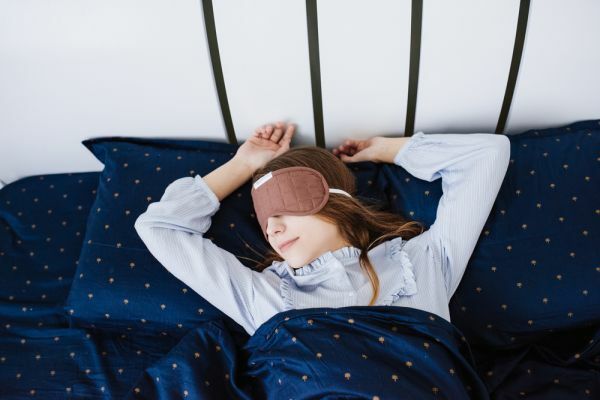 We don't really need to convince you of the benefits of sleeping since it is all our favourite pastime, but it does really help with losing that annoying belly fat. How, you ask? A study showed that people who don't get enough sleep tend to put on weight faster. The best way, undoubtedly, to lose weight is by working out. From cardio to targeted exercises, everything helps in losing the extra fat, especially around the belly. So here are some of the best exercises to lose belly fat. While cardio may not be targeted towards the belly fat, it does get your heart rate going, increases your metabolism and releases the feel-good hormones that will improve your overall health! Skipping, jumping jacks, a little running are all amazing forms of cardio. You can do them at home and they are easy on the pocket as well. All types of crunches build endurance and power of the muscles in and around your belly. But crunches need to be supplemented with cardio for maximum fat loss! Also, try twist crunches and side crunches because amping up your exercises increases stamina and provides your body with a challenge. High-Intensity Interval Training is a varied, intense workout for short intervals that leave you totally spent. The best thing about this kind of workout is that you'll be burning fat long after you've stopped working out! P.S. my personal favourite is Tabata as it keeps you on your toes with the upbeat music that you can simply find on YouTube. Vertical leg crunch is a variation of the classic crunches exercise, where you lift your legs alternatively as you lift your upper body. While it may seem a bit hard at first, it is quite effective and even works on the muscles on the sides of your torso. Lay on your back and peddle in the air. This simple exercise has a similar effect as doing crunches and you actually easier. Just increase the repetitions on the go. On your back, raise your arms and legs to form a v shape with your body. This exercise is good for your abs, core and back. It also makes you more flexible. Once you’re on your stomach, much like Superman, raise your arms and legs off the ground. This exercise applies pressure on your core and works towards those killer abs. Dancing your troubles away is always a great way to tone up your body. Not only does dancing kick in the happy hormones, but it also is an effective way to exercise every part of your body. Aerobics, a mix of strength training exercises in a rhythmic form and aims at strengthening every part of your body. You can join your closest aerobics center or even follow exercises routine available on YouTube to achieve that flat stomach. For more tips on how to lose belly fat, click here. Can I Lose Belly Fat In One Week? You cannot lose large quantities of fat over a week, at least not in a healthy way. The whole concept of losing belly fat is to promote physical and mental wellbeing, if you rush into it and starve yourself into losing the fat within a week, you are only harming your body. Eat lean meat, fresh vegetables and fruits and smaller quantities of food. Combine this with regular exercising and you will see healthy changes in your body over a period of time. 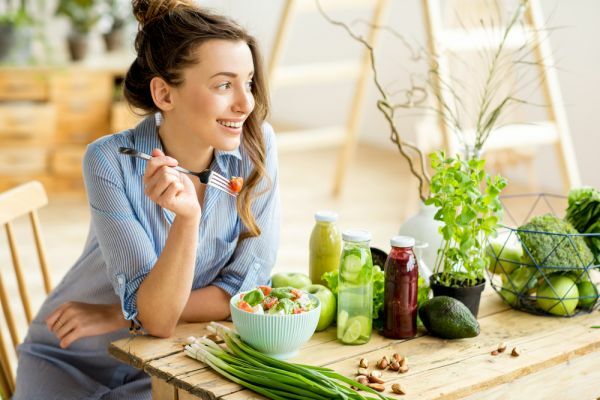 These changes are more sustainable and not in any way harmful to your body as compared to a one-week crash diet which will ruin your metabolism. How Can I Lose Belly Fat Without Exercising? A lot of people ask this question and ideally, you should be exercising to lose belly fat. However, for the injured and physically challenged, who cannot exercise on a regular basis, there are other alternatives available, which are comparatively slower. Including lean meat in your diet, like eggs and tofu will help you. As well as MUFAs (monounsaturated fatty acids) like nuts and olive oil will help cut through the fat in your body. Drinking a lot of water, cutting out processed meat and fast food from your diet completely isn’t just healthier, but will also help get rid of that unwanted fat. What Are The Apps I Can Use To Help With The Exercises? In this day and age of technology, your smartphones are always by your side. 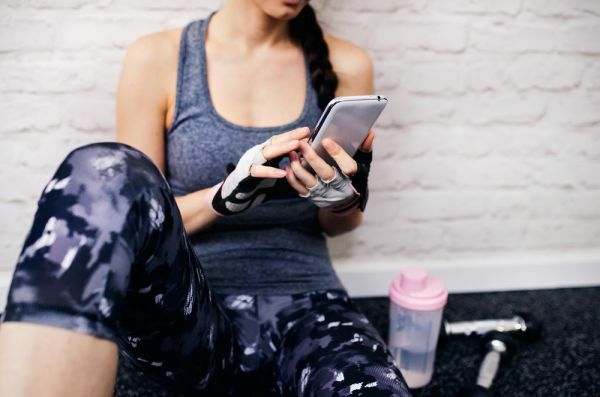 Even though I like to use my workout time as a time-out from my phone, it can be beneficial to use apps as a guided method of workout. There are a few good apps out there for both iOS and Android, which will make your transition towards a healthier lifestyle smooth. This app is both for gym goers and those who prefer to workout at home. It keeps a track of your workouts, keeps a log and even presents you with customised workout, so you don’t need a trainer. It analyses your grown rate and has intensive workouts for specific parts of your body. You can even opt for these paid options to explore the opportunities they provide. A Fitbit is a great investment for a fitness enthusiast who wants to take this lifestyle seriously. However, you can use the app without the band as well, they have a variety of workouts you can pick from. CureFit has over 100 Cult workout centers in the country and the app can be used to pay and book classes. However, the app also has free workouts and meditation videos you can watch at home and workout to. You can follow the exercises on this app if you have a treadmill, cycle or just want to run in the park. They have studio based sessions which provide a step by step guide to a fitter you, including Bootcamp routines. A yoga-based fitness app, Asana Rebel has different sessions depending on how much time you have on your hands. The ideal app for yoga lovers, it is my go-to for meditation and morning asanas. Which Cardio Is The Best To Burn Belly Fat? Cardiovascular workouts are helpful when it comes to losing body weight and fat. The point is to increase your heart rate in a healthy manner, increase your metabolism and engage the right set of muscles, in this case, your belly to burn off large chunks of fat. Something as simple as climbing up and down the stairs counts as cardio and can be beneficial. However, if you are looking to lose belly fat these are the easy cardio exercises you can follow to do the same. Which Exercise Is The Fastest In Burning Belly Fat? 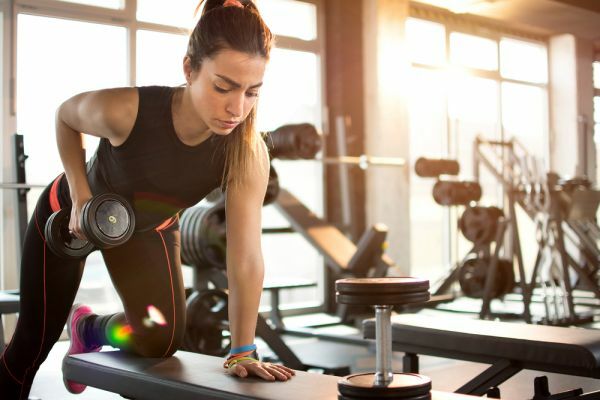 David Chesworth, a wellness coach and personal fitness trainer from Hilton Health Head says the best form of cardio is the kind that focuses on just one part of your body which you want to tone. Like I mentioned before, he also recommends HIIT (high-intensity interval training), specifically Tabata, a form of HIIT available at most fitness centers and even online. It’s time to start sweating, ladies!